Mobile applications (Apps) have become an integral part of daily mobile usage for communication, information sharing and entertainment. And the growing demand for smart phones leads to the development of dynamic and creative mobile apps for various purposes. The next generation technology smart phones and tablets allow a level of convenience that has not previously been available. With fast-growing smart phone adoption, analysts predict the total mobile apps downloads will increase more than twice to reach 66 billion by 2016. There are many benefits that Mobile applications can offer your business. It will help you to reach a wider market of audience. Enterprise applications on mobile phones improve productivity, save time and money and offers convenience as never before. Suppose, if you want to develop an app and sell it, you can place it on any mobile market which will increase your customer reach in turn increasing your revenue. 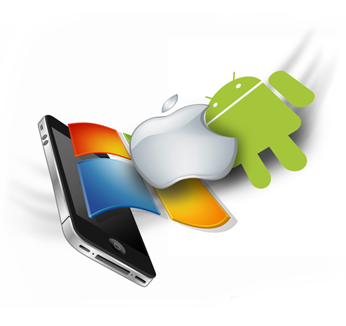 Once downloaded app is there on the device then user access the app more frequently than accessing it through a PC. If your organization doesn't have a mobile app yet and looking for a developer, tell us about your idea and we will help you bring it to life! We design and develop bespoke apps for iPhone, Android phones, Blackberry and tablets, iPad and social media applications for Facebook. We know how to turn your marketing ideas and content into a great looking mobile or social media application so that you can engage with your customers and provide them a pleasing user experience. Contact us today to find how how we could help you develop and deploy mobile app for your organization.